How does a Kindergartner learn to play an instrument? At this age, music is learned as a language. The piano/keyboard is the instrument of choice for internalizing the sounds and patterns of music, through the student's natural tactile tendency to interact with the keys. This is a perfect testing ground as well as a strong foundation. Ms. Cyndi’s “Piano Discovery" is designed as an age appropriate and fun filled time of exploring the piano keyboard as a preparation for formal keyboard instruction. The program lasts for 12 weeks. We will also be featuring rhythm instruments in this fun, fast-paced class. Each student will play on their own keyboard in the class. The students move around the stations of the room - keyboards, circle time, teacher's piano and the white magnet-board - where they go from singing, playing, circle games and pre-reading music note games. With this primer program under their belts, they will be ready for the older 6-8 year old classes which start 3 times a year. Piano Discovery includes a book and a CD. Some type of piano or small electronic keyboard is required for at home playing. Parent Participation also is required. Each class meets once per week for 12 weeks for 45 minutes. Class size is limited to 8 students and their parents. Concurrently Enrolled Siblings: $78 Per Month ($274 in Full) - This is a substantial discount for concurrently enrolled siblings. This cost includes a registration and materials fee ($40.00) and tuition for the entire session. If you need to pay this over 3 months, please contact our office administrator at 619-460-0992. Everyone loves adventure. Imagine your child enjoying a positive and fun experience exploring the keys! 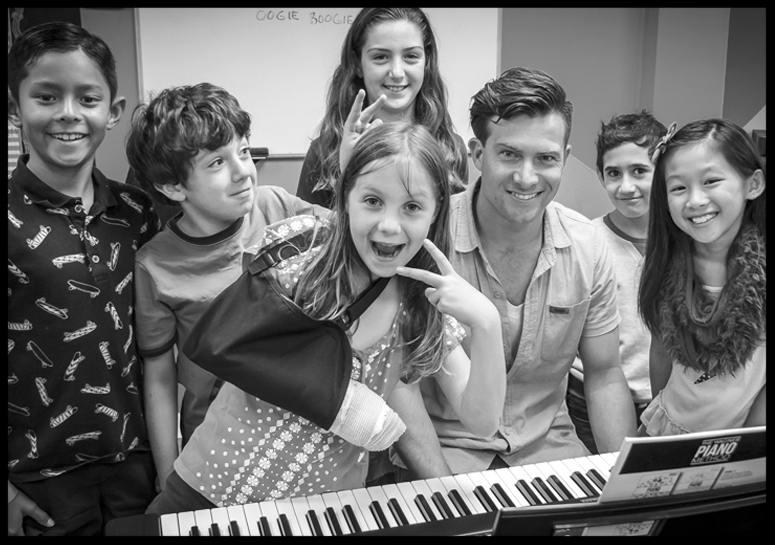 This rewarding and motivating class is designed to bring the music out of your child as they discover the mysteries and rewards of learning an instrument. Through fast paced activities and positive rewards, you will see immediate positive results - and smiles. We will guide your child through the basics of Keyboarding with a time-tested curriculum. For 40 years, Wagner's School of Music's teaching techniques are uniquely motivating. Reading, writing, performance, ear-training, singing, ensemble playing, timing, expressiveness and creativity are only a few of the areas of musicianship your child will be introduced to. Each student sits at his/her own "class-piano." Piano is not only known to be the best instrument for a musical beginning, but also as a life long tool for understanding and expressing music. Students also learn values that come out of the discipline of practice (10-15 minutes a day, 5 days a week) as well as the value of meaningful rewards for a job well done. As a family based program, we support the family and the social values you are teaching at home. Class meets once per week for 45 minutes. Classes are on-going on a month-to-month basis. FIRST CHILD: Tuition is $98 per month with a one-time $50.00 registration fee which includes the cost of the initial materials. The first month will be prorated if necessary. Concurrently Enrolled Siblings: Tuition is $78 per month and one-time $40.00 registration fee, which includes the cost of initial materials. The first month will be prorated if necessary.